The Aloha Spirit refers to the well-known attitude of friendly acceptance, of which the Hawaiian Islands are so famous. Nevertheless, it also refers to a more effective method of solving any problem, achieving any purpose, and obtaining the desired state of mind and body. In Hawaiian, the word aloha means much more than just ordinary "honor", "Goodbye" or "Love". Its deeper meaning is "full of joy (OHA) Sharing (ALO) of Life's energy (HA) at the present time (ALO). When you share this energy, you begin to live in harmony with the Almighty, which the Hawaiians define as mana. Loving use of this unbelievable Power is the secret to achieving true health, happiness, success and success. The Mere method of harmoning with the Power and applying it for its sake is so simple that it is difficult to believe it to be true. Please, however, do not be deceived, appearances often deceive. Give yourself time to try it out. Bless everything that represents what you desire! In This is everything-the whole heart. However, something that is simple requires some explanation. To Bless something means to convey our appreciation for a positive trait, property, or condition with the intent that what we consider or emphasize will increase, continue or become. Blessing is effective both in changing your life and in receiving what you want, for three reasons: first of all, the positive concentration of Your mind triggers a positive, creative force of Space. Secondly, it moves Your own energy outward, while allowing more Power to pass through You. Thirdly, when you bless for someone's benefits and not directly for yourself, you evade all the subconscious fears associated with what you desire for yourself. At the Same time, concentration on the blessing increases its influence on Your life. What is beautiful in this process is the fact that blessing others helps both others and you. Admiration is the compliment, the praise Of something good that you see. For example. "What a beautiful Sunset"; "I like this flower"; "You are such a wonderful person." Affirmation – This is a blessing designed to confirm, strengthen, consolidate, increase. For example. "I Bless the beauty of this tree"; "Blessed be the health of Thy flesh." Gratitude is the expression of gratitude for the fact that something good exists or has happened. For example. "Thank You for helping Me"; "I Give thanks to the rain for eating the earth." Hope is the blessing of the future. For example. "It will be a wonderful picnic"; "I Bless Your increased income"; "Thank You (in advance) for your wonderful partner"; "Happy Journey"; "Let happiness be conducive to You." To get the most benefit from blessing, you will have to abandon or at least limit one thing: The curse that negates the blessing. This does Not mean swearing or saying "ugly" words. This Refers to the opposites of blessing, namely, criticism instead of admiration; doubt instead of affirmation; Blame instead of understanding; Instead of waiting with confidence. The Occurrence of the above results in the abolition of certain blessing effects. The more you gilt, the harder you get the good of the blessing. On The other hand, the more you bless, the less harm you inflict when you are angry. Here are some examples of blessing different needs or desires. Use them as often as you like. Health – Bless Healthy people, healthy animals and even healthy plants; Bless all that is well done or constructed; Bless all that expresses abundant energy. Happiness – Bless All that is good. Bless all goodness, which is in all people and other things; Any signs of happiness that you see, hear, or feel in people and animals; All the rips for happiness you notice around you. Success – Bless All the signs of prosperity in Your environment, including everything created by money; Bless all the money you own in any form; All the money that are circulating all over the world. Success – Bless All signs of achievement, completion, finalizing (such as buildings, bridges, sporting events), all arrival at destinations (ships, planes, trains, cars and people); Any signs of advancing or persistence; And all signs of joy or fun. 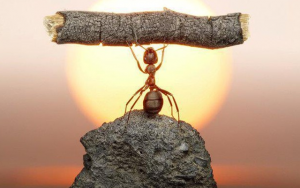 Trust in your abilities-Bless signs of self-confidence in people and animals; All signs of strength of people, animals and objects (including steel and concrete); All signs of stability (such as mountains and tall trees); All signs of intentional force (including large machines, power lines. Love and Friendship-Bless signs of concern and upbringing, compassion and support; All harmonious relationships in nature and architecture; Anything that is related to something else or gently touches something; All signs of cooperation (during work and entertainment); All signs of laughter and fun. Inner Peace-Bless The signs of peace, tranquility and serenity (such as calm water or windless weather); All distant views (horizons, stars, Moon); All the signs of beauty that you can see, hear or touch; Clean colors and shapes, details of natural objects and manufactured. Spiritual Growth-Bless signs of growth, development and change in Nature; Go from dawn to dusk; Movement of the Sun, Moon, planets and stars; Flight of birds in the sky; Wind and sea traffic. The Above examples are merely indicative of unaccustomed to blessing. Do Not limit yourself to them. Remember that every trait, property, and condition can be blessed, regardless of whether they have already happened, are now happening or exist so far only in the realm of Your imagination (eg. To stimulate the loss of your weight you can bless the narrow poles and slender animals). I Personally use the power of blessing to cure my body, to increase income, to develop capacity, to create a bond of profound love with my wife and children, and to create a global community of people making peace in the Aloha spirit. In my case it all worked perfectly and therefore I want to share with you. You'll Want to share this with others. How to Strengthen Your Blessing Power? In Hawaii, a technique that enhances the power of blessing is practiced by increasing personal energy. It is a simple way of breathing that is also used to prepare, concentrate, meditate or heal. It does not require any special place or particular attitude. It Can be performed during movement or resting when you are busy or resting, with eyes closed and open. In Hawaiian, this technique is called Pikopiko, because Piko means both, a carpenter (roughly the tip of the head) and a navel. 1. Become aware of your natural breathing (perhaps it will change when you embrace it with your consciousness, but don't worry about it and try to breathe naturally). 2. Locate your liquid and navel through consciousness and/or touch. 3. Now, when you breathe in your attention, you should concentrate on the navel while exhaling. Breathe in this way for as long as you want. 4. When you feel relaxed, focused and/or filled with energy, start imagining that you are surrounded by an invisible cloud of light or electromagnetic field, and that each breath increases its energy. 5. In Blessing, imagine that the object of Your blessing is surrounded by the same energy that surrounds You. Aloha International's Aloha (The Aloha Project) Project publishes brochures such as this and is available to individuals, groups, organizations and institutions around the world. This Enables generous donations from believers that the world can become a better place by providing information as you can help yourself. The Author hereby authorises the copying, printing and free dissemination of the faithful copies of this document in an unlimited amount provided that no changes are made to it without the express consent of the author. For more information, please visit The Aloha Project or contact Aloha International, PO Box 223009, Princeville HI 96722, tel: 808-823-8381, email: huna@huna.org. You may copy, mail, and share this document, provided that it is not transmitted for consideration. To receive a free copy in the form of a booklet, simply write an e-mail to: huna@huna.org providing your personal data (name, surname) and full address.